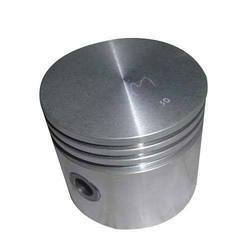 Facilitated by our dexterous team, we the leading exporter and trader of Compressor Pistons. 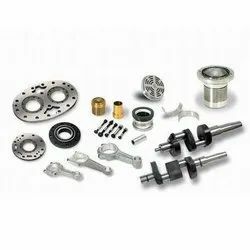 These are known widely utilized in automotive industries and various other industries and gives better compression to engine, thus increasing the efficiency of an automobile. Tested as per the international standards of quality, we make sure that these products exhibit high performance without any delays. 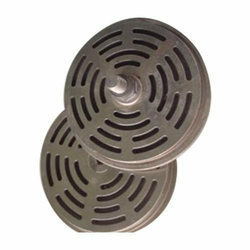 Our company is recognized as a prominent exporter and trader of a qualitative range of Compressor Valve Plates. The offered product are highly useful in between compressors cylinders and outer heads. To maintain air pressure in the receiver tank and compressor the valves are mounted on spring plates. Gained by the years of industry experience, we offer our precious clients with quality-assured Oil Pump Gears. 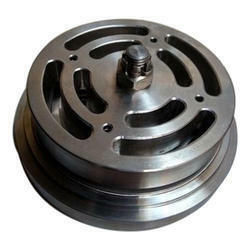 Offered oil pump gears are mainly designed for the transmission purpose in gearbox and sprockets. 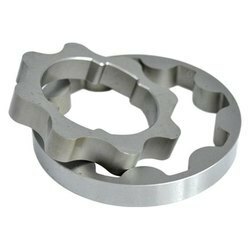 Developed using the latest techniques, these Oil Pump Gears easily transmit the motion from Camshaft to crankshaft. Furthermore, we are committed to meet the bulk demand of our clients within the committed time frame. Gained by the years of industry experience, we offer our precious clients with quality-assured Compressor Crankshafts to our clients. 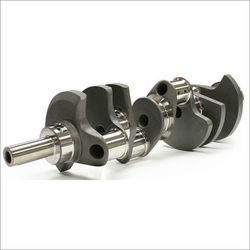 Customers can buy this crankshaft from us in various sizes and specification as per the demands of our clients. Within our manufacturing area, we assemble latest and innovative technology to ensure that we offer the best possible facilities to our team of professionals so that they can perform to the best of there ability. Leveraging on the support of our sound infrastructure, we are able to come forth with the extensive range of Voltas Carrier Compressor Liner. We have a team of qualified professionals who help us test these products as per the international standards of quality to make sure it does not falter at the time of operation. Owing to our profound experience in the industry, we have been able to offer our valued clients with Compressor Connecting Rods. These are built using the best quality steel as well as aluminum to easily absorb high impact at the expense of durability for high-performance engines. 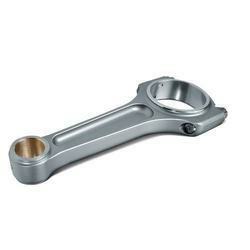 Offered by us, these compressor connecting rods are fabricated using supreme grade raw material from our authentic vendor base to ensure that these are in accordance with international quality standards ans norms. We are backed by our expertise in this domain, we offer our valued customer's Compressor Gaskets. We compose using fine quality raw material to ensure that they are in compliance with international standards. These Compressor Gaskets are widely used in various types of compressors like air compressors, screw compressors and others. Material Grade SS 4140, 304, 316 etc. Gained by the years of industry experience, we offer our precious clients with quality-assured SS Compressor Valve Assembly to our clients. We compose using fine quality raw material to ensure that they are in compliance with international standards. Our team of researchers comes up with this complex formula to facilitate SS Compressor Valve Assembly. 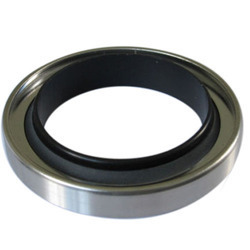 Owing to our profound experience in the industry, we have been able to offer Compressor Shaft Seals. These precision engineered seals are dimensionally accurate and have high tensile strength. These are available at cost efficient prices. The offered product is widely acclaimed by our esteemed clients as it is fabricated of the premium quality raw that is in adherence to the laid industry specifications. 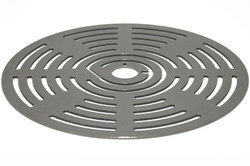 We are a foremost provider of Air Compressors Valve Plate, which is highly valued by customers across the nation. These products are available in custom-made options. Ours is a coveted firm involved in the process of exporter and trader of Compressor Spares For Trane Utility. Our range of this product is precisely engineered as per quality standards of industry. Clients can avail these from us at competitive ranges. These are available at affordable prices in the industry. 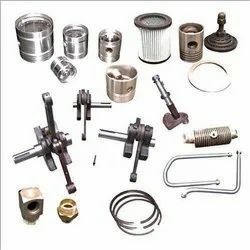 We are one of the leading manufacturer and supplier of Sabroe Compressor Spares. We obligated to meet the quality standards as per the customer demand.